The Journal of Finance and Investment Analysis (JFIA) aims to provide an international forum where researchers and practitioners can contribute to knowledge of sustainable finance and investment theory and practice. The journal publishes research articles of topical items in sustainable finance and investment. The focus of the journal is social and governance principles as formulated in managed investment, banking, money and project finance. 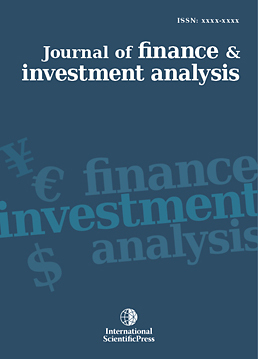 The journal publishes original papers including but not limited to the following fields: Investments in Developing Countries, Investments under Uncertainty, Economics of Investments, Portfolio management, Investment Banking, Emerging markets, Financial Strategies of Investments, Political economy and sociology of financial markets and Market Analysis.